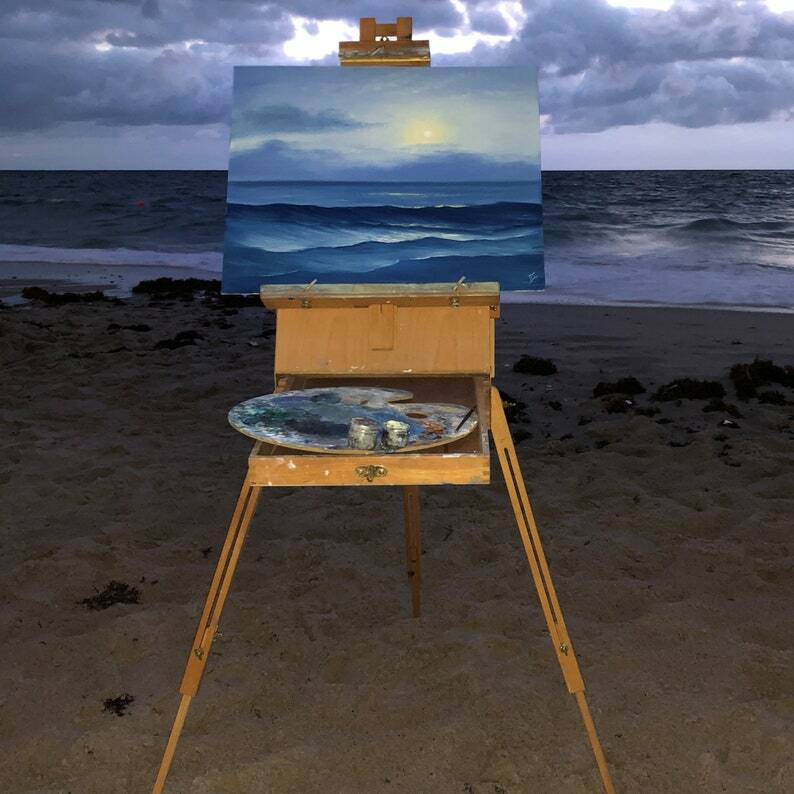 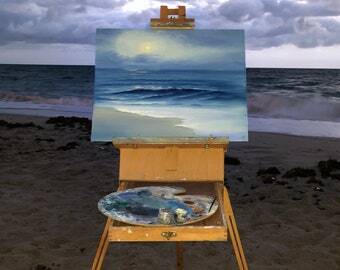 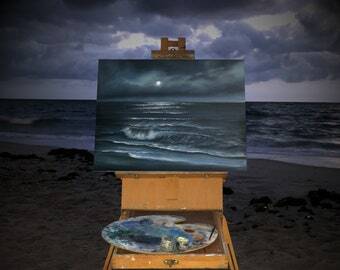 "Moon Elixir" is a night coastal landscape painted on location: Fort Lauderdale, Florida. 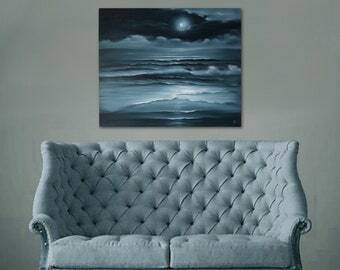 •	Ready to hang. 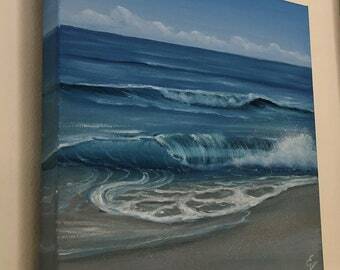 Oil on canvas panel 20x16 inches, varnished, framed (framed dimensions 22x18"), signed and dated by me.